The TA103TC is an enhanced version in the TA100 series with a 3.0" 65K TFT color screen display. The TA103TC comes with the new FingerTec® fingerprint algorithm, BioBridge VX 10.0, which can upgrade to support 12,000 fingerprint templates. 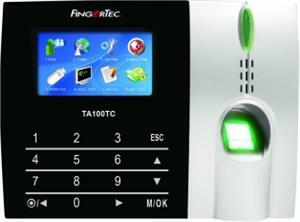 The new algorithm also improves TA103TC’s fingerprint recognition speed and accuracy.